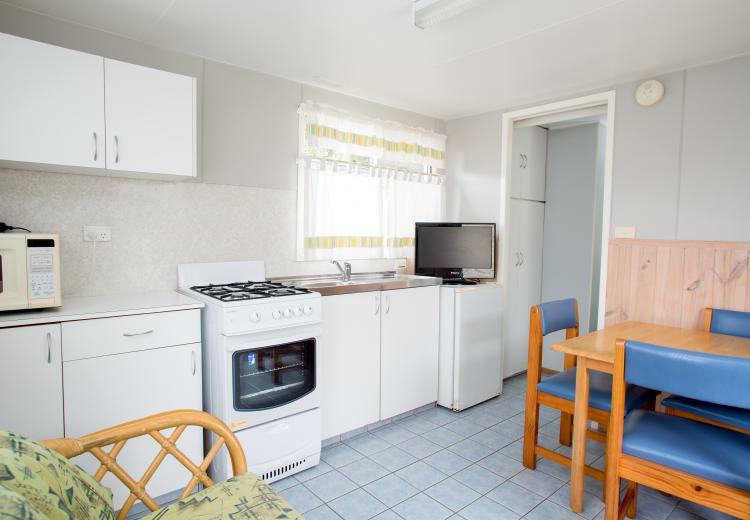 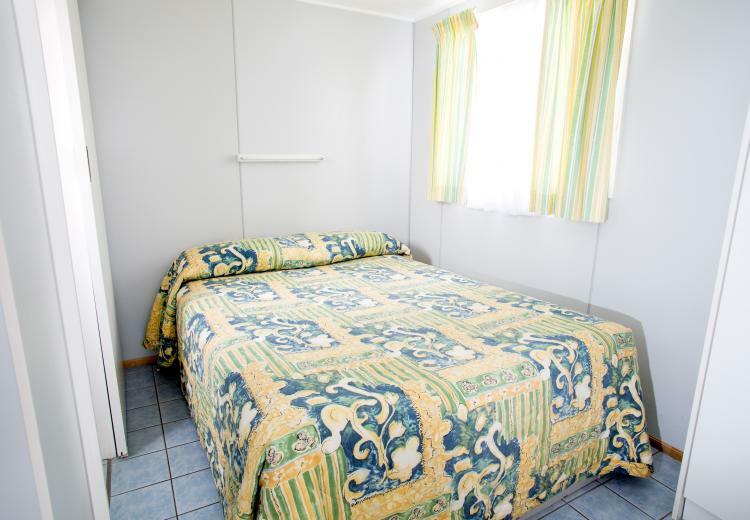 Our budget cabins have all the functionality without the price tag! 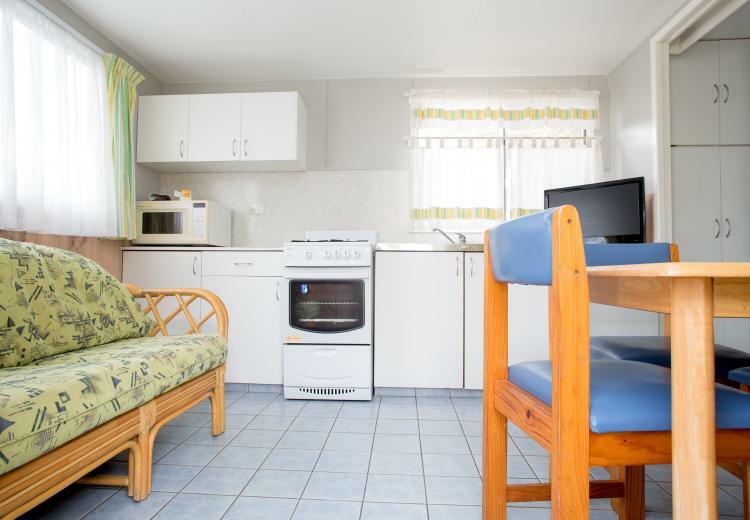 Features a double bed, fully equipped kitchen, separate bedroom and lounge / dining area, a flat screen TV and air conditioning. 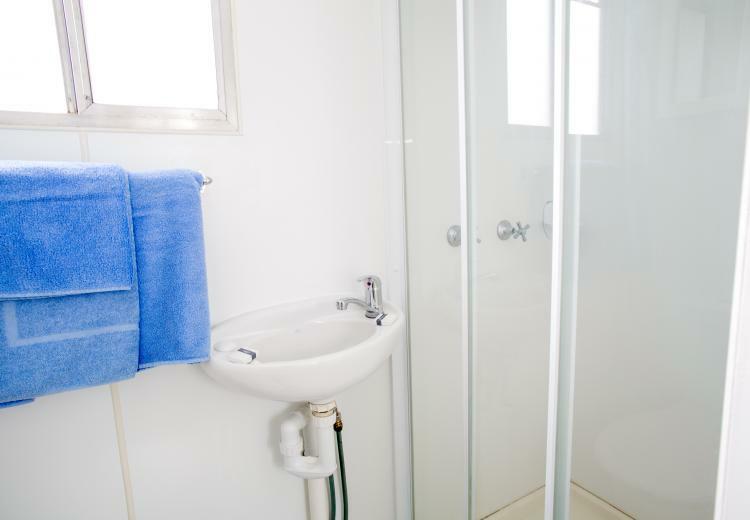 Escape to the coast in this cabin now!